Throughout the recent economic downturn, there have been a few industries that have actually escaped relatively unharmed. One of these industries is the transportation industry. Wolf Driving School knows that regardless if the economy is good or bad, trucks will always be shipping supplies from one place to another. In fact, the transport business appears to be doing remarkably well and is actually increasing in size. Truck driving remains one of the top ten careers in the nation. As one of the most exciting industries in the nation, the business always gets a lot of attention from people who are interested in new careers. 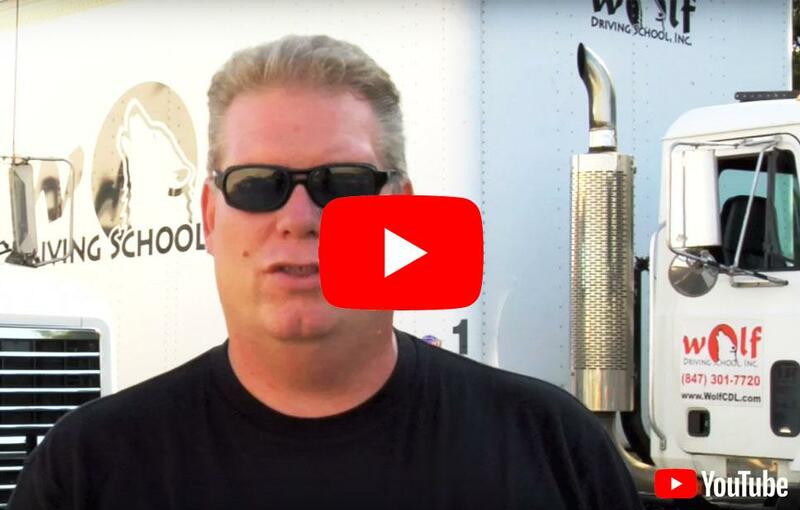 For many years, Wolf Driving School has been training Chicagoland students to get their CDL training and truck driver training and land great jobs. We are immersed in the basic principles of Honesty, Reliability, and Quality. As one of the most trusted truck driving/CDL driving schools in the Chicago area. Wolf Driving School provides a wide choice of classes which range from basic truck driving training to CDL training. Conveniently located in Schaumburg, our school is only about 9 miles northwest of Addison. This is an ideal location for your truck driving training or CDL training. Addison, Illinois is a village located 18 miles west of the Chicago Metropolitan Area in DuPage County. The village has a population of 36,004 residents. Addison is home to 18,113 different households and 9,319 families. It has a median household income of $66,567 and a median home value is $254,814. Addison’s industrial sector encompasses much of the village’s west and south sides. Twenty percent of all manufacturing operations in DuPage County are located in Addison. The industrial sector produces everything from electronic controls to telecommunications equipment, from industrial drills to kiln equipment. The business friendly community boasts more than 45 companies that employ more than 100 workers each and 300 companies with 20 or more workers. These numerous Addison-based companies employ 43% of Addison’s workforce. Trucking companies looking for truckers in need of driving jobs, whether national or local, know when they hire a Wolf Driving School graduate from the Addison community, they are getting a well-trained and hard-working individual. We will match our qualified truck driving/CDL driving job applicants with industry-leading truck driving companies. Having CDL training/truck driving training not only expands our Addison graduates’ careers, but it also increases their chances of earning a higher salary. If you are wondering why you should enroll in Wolf Driving School to take CDL training/truck driving training in order to become a licensed driver, ask an Addison graduate. They will tell you it is because we provide the highest quality transportation training available anywhere. Our track record of turning out the finest and most responsible drivers in the industry is remarkable. Our CDL training/truck driving training graduates have the stamina and expertise to be the best in the business. If you call Wolf Driving School today, you won’t regret it! Not only can our truck driving and CDL classes will accommodate your busy schedule, but our drivers earn between $35,000 and $70,000 a year. Wolf Driving School has built its business on both integrity and innovation. With us you will be in the company of a fine team of qualified instructors who will prepare you for the kind of challenges you will face in the workforce.